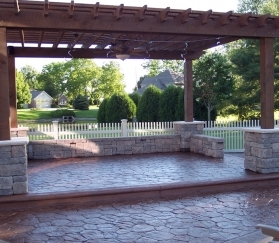 The patio is the focal point of any backyard. 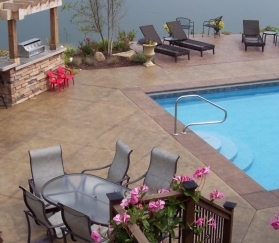 Your decorative concrete patio will be an oasis where you can entertain friends or simply relax after a hard day’s work. 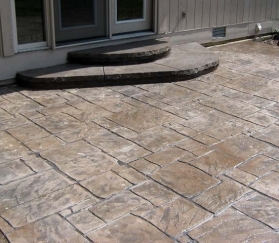 In the past, landscaping was the only way to enhance your outdoor living space, but now through the use of stamped concrete, stenciled concrete, concrete overlayments and acid stained concrete, your patio can be a functional showplace. 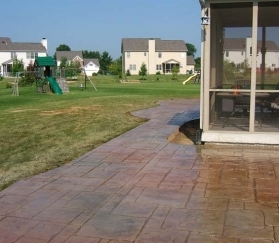 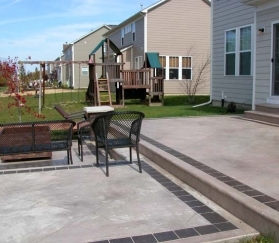 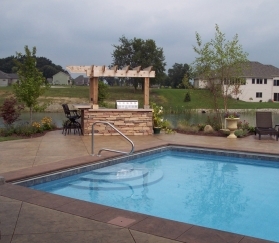 The decorative concrete patios pictured below were all designed and installed by members of the Indiana Decorative Concrete Network. 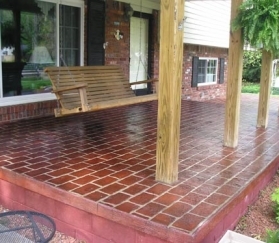 Find a local patio contractor by clicking here. 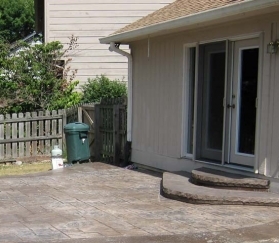 Please be aware that the owner of this site is NOT A CONTRACTOR. 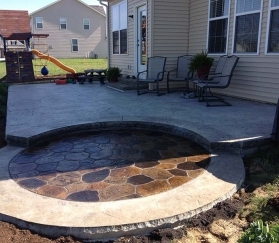 If you want an estimate for your project, please contact one of our member contractors by clicking here.